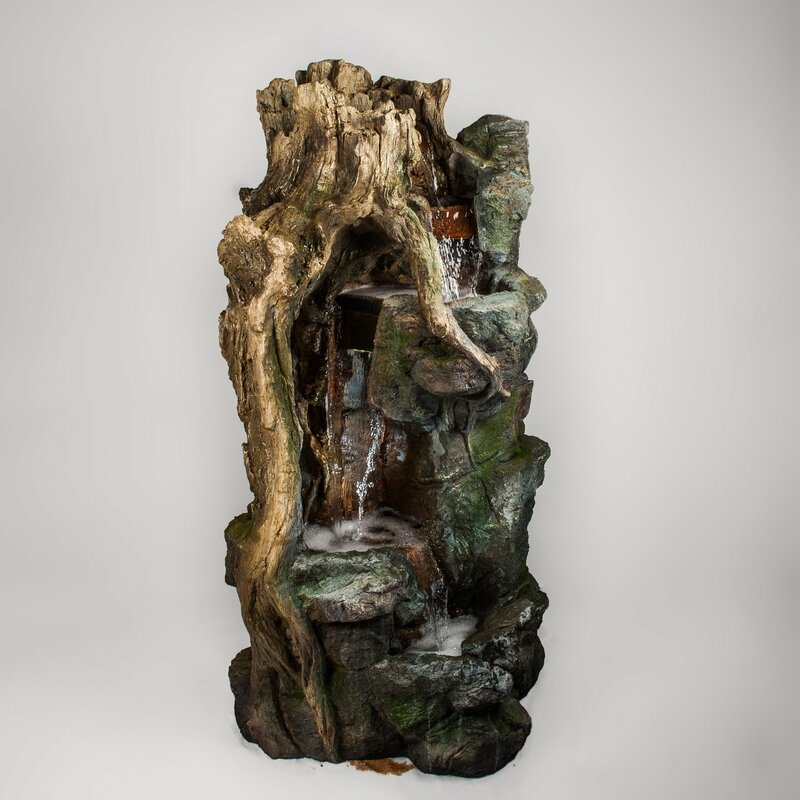 Looking for a water feature with natural appeal? You're sure to love this rustic design that appears to be constructed out of wood and natural rock. Water cascades down 2 tiers into the last pool. There are 3 lights included in the design, one in each pool to provide soft illumination. Now this is what you call a feature! Lightweight Water Feature includes pump and LED lights.